During the week of Jan. 21, Whitman students and faculty joined with local university and community members in commemorating Dr. Martin Luther King Jr. and his legacy. 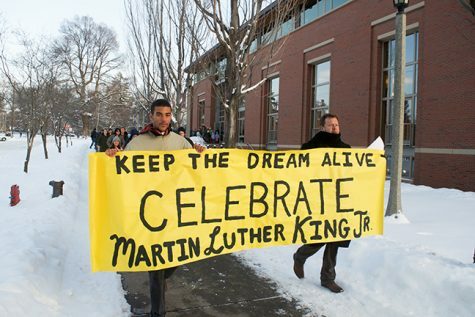 The week’s events began with the “MLK Peace March” from Reid Campus Center through downtown Walla Walla to the Gesa Power House Theatre, featuring Tim Golden, Walla Walla University professor of Philosophy, the Whitman Freedom Singers and other Whitman students. Maggi Banderas, Associate Director of Intercultural Center and coordinator of MLK Week events, was equally as enthusiastic as audience members about the performances at Gesa. 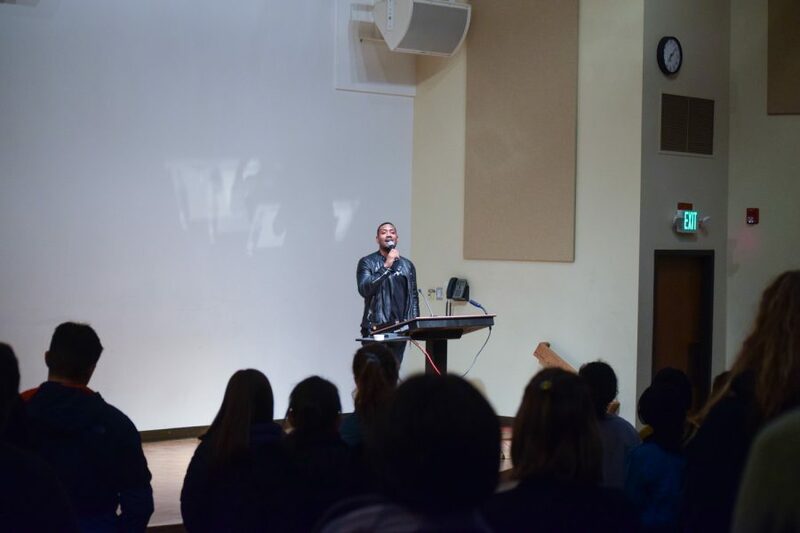 On Jan. 22, keynote speaker Bryan Terrell Clark addressed students at Maxey Auditorium about “his own experiences from growing up in Baltimore to his starring career on Broadway, most notably as George Washington in ‘Hamilton: The Musical’,” according to the Union Bulletin. 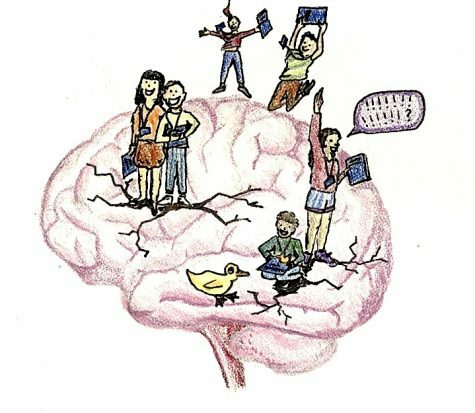 Clark emphasized the importance of aiming high and fulfilling those aspirations while positively influencing the world, a direct reference to King’s own design. 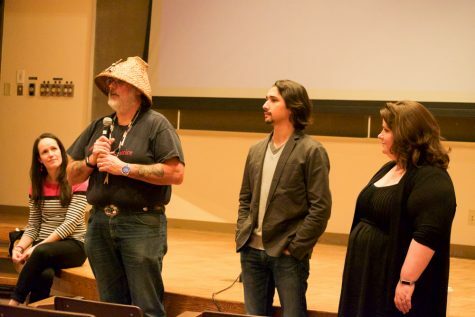 A film screening of “King in the Wilderness” occurred on Jan. 28 at 7 p.m. in Olin Auditorium, documenting King’s later years and the criticisms he received during this time. Leisha Casimiro, a first year and singer in the Freedom Songs troupe, was deeply moved by the performances at the Gesa Power House Theatre. The presentation of King’s legacy and lessons by virtue of performance were executed artfully and raised critical questions about the culture of idolization. Banderas and Casimiro agreed that much of the meaning of Martin Luther King Jr. week comes from sources outside of the ones directly related to King’s legacy. Casimiro echoed this sentiment of the importance of cohesion, but also what this cohesion breeds and how this relates to the true purpose of MLK Week at Whitman. The involvement of Whitman students within the community and during MLK Week is also an important outlet for expression and activism — in this case through the performing arts. But perhaps the most impactful thing about Martin Luther King Jr. Week is the fact that it brings people together in the spirit of betterment and change. “[MLK Week] gives people who are still struggling with [human] rights hope — [hope] that there are allies and people who believe in the same cause,” Casimiro said.